Fair Oaks Road Rage. A Fair Oaks road rage incident happened along San Juan Avenue on October 27 that caused injuries. The incident happened when two motorcycle riders got into an altercation with the driver of a pickup truck. According to a report by the California Highway Patrol (CHP), the truck veered into the lane occupied by the motorcycle riders, causing at least one of the cycles to crash. The incident is under investigation by the CHP to determine the cause and assign fault. 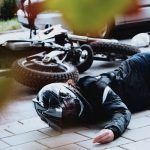 The road rage accident happened on San Juan Avenue near or at Madison Avenue in Fair Oaks shortly after 2:00 in the afternoon when the two motorcyclists were heading down the road, and one exchanged rude gestures with the driver of the pickup. Following that, the second motorcyclist approached the pickup and words were exchanged. The first rider made a turn from westbound San Juan to southbound as did the driver of the pickup. This was when the pickup truck veered into the rider’s lane, causing a collision. 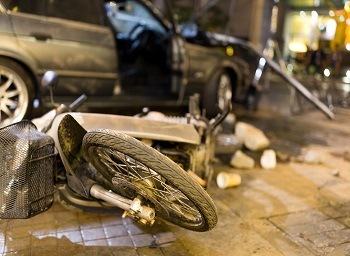 It is uncertain whether the second motorcycle was also involved in the accident. 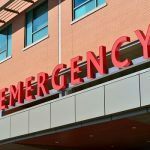 An ambulance was summoned for unnamed injuries to at least one person, and no further information has been released on that individual’s medical status at this time. According to the National Highway Traffic Safety Administration, there is a difference between driving aggressively and exhibiting driver rage. While aggressive driving is a traffic infraction, road rage goes much further and is a criminal offense. Over a seven-year period, nearly 13,000 people suffered injuries, and 218 people were killed in accidents attributed to road rage. 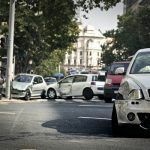 In California, under California Vehicle Code section 13210, if an injury results from a road rage incident, the driver can face varying charges such as assault with a deadly weapon or aggravated assault, making criminal threats, reckless driving and others. This is in addition to penalties, including license suspension and required anger management or road rage classes. Aggressive driving is a lesser form of road rage involving several moving traffic offenses but does not end in a driver expressly attempting to physically harm another person. These behaviors include speeding, tailgating, lane blocking, honking, making a sudden lane change and failure to yield. According to the National Safety Council, aggressive driving contributed to half of all motor vehicle accidents. Stay calm. Panicking can cause a driver to make unwise decisions. Do not respond to taunts or gestures, and do not interact with the other individual in any way. Make space between your vehicle and the other driver. This may involve changing lanes or slowing to let the other driver pass. If the driver continues following you, exit the road, and head toward a public place such as a busy shopping center. Even better, head toward a police station. Do call 911 and explain the situation if it continues. Police are able to lead you toward a nearby police officer or a safe location, which can help to de-escalate a road rage incident. I’m Ed Smith, a Fair Oaks car accident lawyer. Incidents involving road rage are common and can result in serious injuries to an innocent driver and their passengers. Whether your accident was caused by negligence or an intentional act, you may benefit from the assistance of an experienced car accident lawyer. Please get in touch with me at (916) 921-6400 for free and friendly advice. You can also reach me at (800) 404-5400 or through my contact us page at AutoAccident.com. I belong to the Million Dollar Forum, which represents some of the top trial lawyers in the country who have obtained a settlement/verdict more than one million dollars for a client. It has been my privilege to have represented many residents of Fair Oaks and other parts of Northern California during my 36-year-career as an injury lawyer. 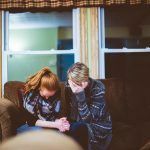 Some of the areas I cover include wrongful death, all varieties of car collisions and brain injuries.